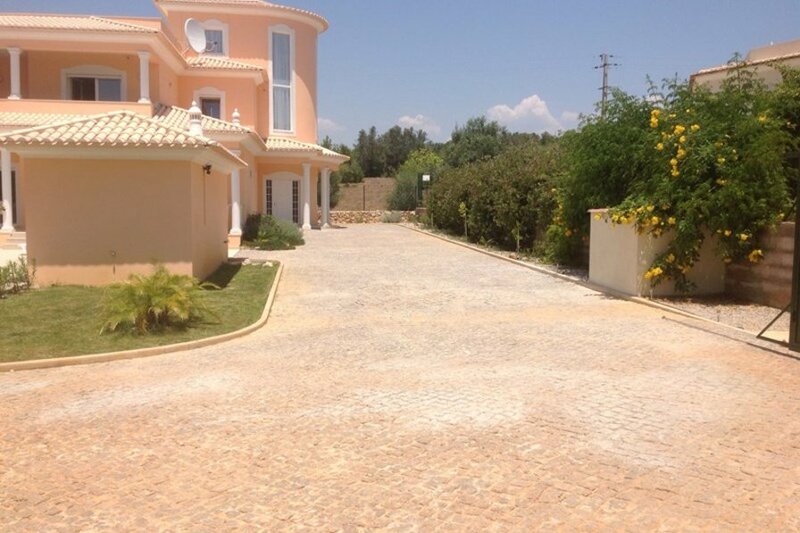 Bordering the town of Tunes, this lovely recently built villa has 6 Bedrooms 5 Bathrooms (4 onsuite bathrooms) all with TV/DVD Satalite and Air conditioning is ideally located a short drive from Albufeira town and the beautiful beaches or a few minutes walk to the train station at Tunes from which you can explore the region by train. There are local bars and eateries in Tunes and the surrounding areas if you prefer a more tranquil setting away from the hustle and bustle of the crowds. This fabulous property comes complete with a large games room boasting a FULL SIZE SNOOKER TABLE, DARTS BOARD, PREMIUM FOOTBALL TABLE, Outdoor Table Tennis Table and many board games for you to enjoy. The swimming pool is suitable for both children and adults and can be heated in the cooler periods if required (A surcharge will be applied for pool heating) there is an outside barbeque kitchen in the poolroom for alfresco dining and grassed areas for the children to play in within the grounds. Adjacent to the property is the single track train line from tunes and you can gaze at the occasional 2 carriage train as it passes by, or you may see the local goat herder and his many goats grazing on the nearby land.The new Faldo and O'connor golf coures are only a short drive away or the popular Vilamoura golf is 15 mins away by car. possible to get from the algarve. GAMES ROOM This property boasts a large games room with a Full Size Snooker table, Dartboard, Table football and a Golf Arcade Machine. There are lots of board games to enjoy and for those wishing to relax in peace the top of the villa has a Circular terrace room to quitely read a book or sit out on the terrace and gaze out at the distant views. The popular ZOO MARINE WATER PARK is only a short drive away.